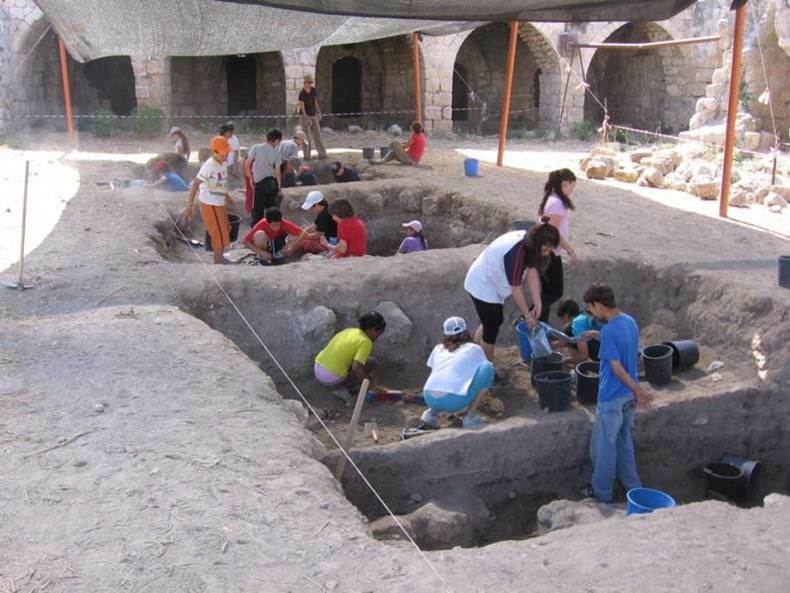 Located in Israel, near Tel Aviv, the old city of Lod has a history that spans over 7,000 years. Today, Lod is one of the poorest and most neglected cities in Israel. It is characterized by a mixed Arab-Jewish population of extremely low socio-economic background and a severely weak social-cultural infrastructure. This grim situation is starkly apparent in the physical neglect of most of the city's public spaces. The Lod community based archaeology project uses Lod's glorious heritage as a mean for conciliating the local community. It aims to turn the 'brown field' of ancient Lod to an urban green field, thereby restoring the importance of the historical city. Launched over 4 years ago, the Lod Community Archeology Program integrates archeology enrichment with practical archaeological work that reveals the ancient past of the city. 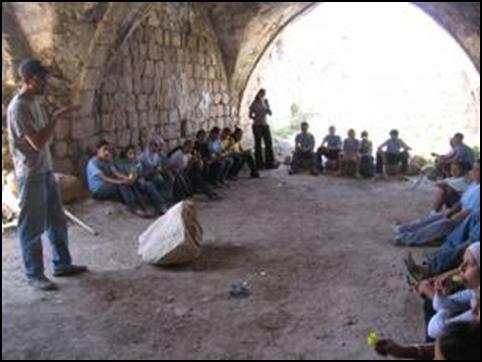 In the current school year, the program operates in 10 schools in Lod, 5 Jewish and 5 Israeli-Arab. 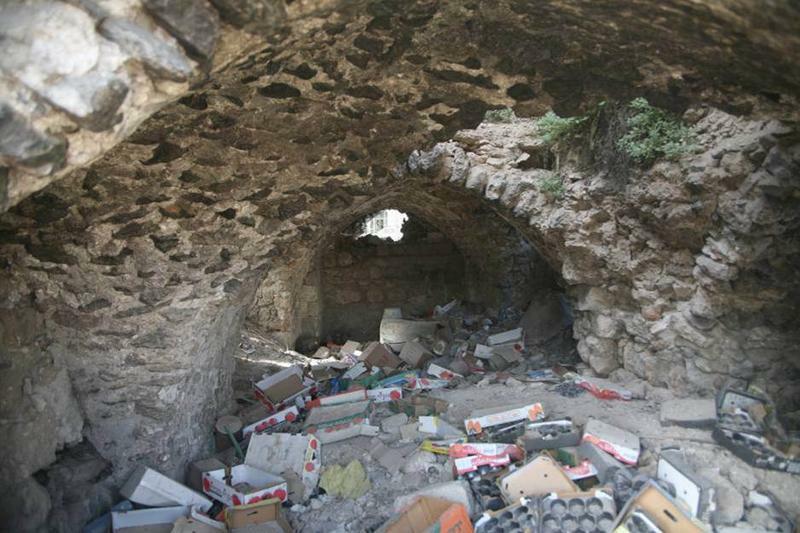 Israel Antique Authority's restoration inspectors at the Khan el Hillu site revealed the hazardous situation of one of the walls in the entrance area of the Khan. This wall was declared dangerous already in the 90's and was reinforced to prevent its collapse. Today this support is no longer effective and is a hazard on its own accord. The Antique Authority inspectors have conditioned the continuation of digging at the site on taking care of the hazard. Failing to fix this hazard would prevent the renewal of the 2011 digging license and thus severely interrupt the project. Thanks to an AIA Site Preservation Grant, we will be able to restore this wall to ensure that our important educational programs are able to continue at Lod. The enrichment activities are provided by 'Karev' – a well-established organization specializing in educational intervention programs. The practical part, i.e. 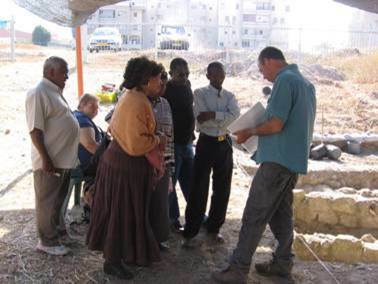 the excavations, is managed by Dr. Yuval Gadot and Taufic Dadeale, professional archeologists from the Hebrew Union College. The implementation of all project components is well coordinated by the project leaders. Enrichment Lessons: Throughout the school year, each student receives 2 weekly hours of enrichment in archeology. Tours of Lod: Each group of students participates in a tour of Lod, during which the children are shown the city's prominent historical and archeological sites. School Happenings: Each school holds a special event during the year, aiming to expose all of the students and teachers to the field of archeology and the specific program. Teachers' Training: The teachers in all of the participating schools participate in a training workshop. Jewish-Arab Encounters: Social encounters bring Jewish and Arab students together. Archeological Excavations: The highlight of the program is the archeological excavations at the Khan el Hilu site under the supervision of Dr. Yuval Gadot and Taufic Dadeale. 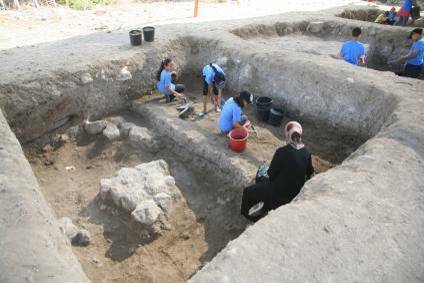 This year, the excavations will be held over a period of two months, allowing each student to participate for two or three days. One class is hosted on site at a time, and the children do everything within their physical abilities: move earth, collect pottery and other finds, as well as clean-up the khan from trash. The children also help in washing the pottery shards and in cataloging the finds. The fact that the excavators are untrained children does not affect the academic standard of the excavations. It means that we dig slower and ensure that there are enough trained archaeologists in each excavation square who can control the work and answer the children's questions. To date, over 1000 school children have already taken part in the excavations and in related physical work. A mobile exhibition presents the project and the excavations at Khan el Hilu since 2007 and until today. It displays the products of this work to students, their parents and the entire Lod community. The exhibition travels between schools and public institutes in Lod.